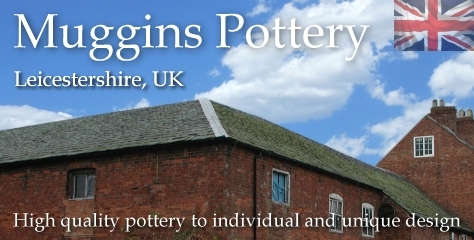 Pottery Bowls | hand-made pottery from Muggins Pottery in Leicestershire - wedding gifts, birthday presents, christening presents and anniversary gifts. Small bowl with the classic Muggins face. See this in the morning and be glad. Large bowl with the classic Muggins face. Use it for fruit or nuts. My husband bought me a Piggy moneybox that arrived a couple of days ago. I just wanted to let you know that I absolutely adore it and with it being handmade too, it makes it extra special. A big thank you to the person/s that moulded and sculpted this wonderful piece of pottery.